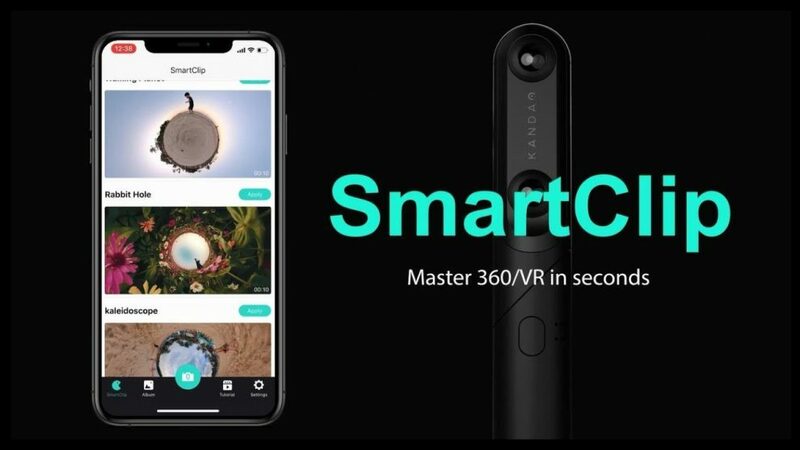 Beginners who have never used a 360 camera will now be able to create animated 360 videos automatically on Kandao Qoocam 360 and 3D 180 camera with the new SmartClip feature. SmartClip enables users to create videos automatically with no 360 experience or understanding of keyframing animation by providing them with shooting instructions and applying a template to their video, instantly producing an edited overcapture or tiny planet video. To get SmartClip, simply update your Qoocam app (iOS or Android).